In line with the view that education should aim to develop students' skills, knowledge and understanding for use beyond the classroom and beyond schooling, much of ACER's assessment work aims to measure levels of student literacy in knowledge domains of interest, rather than narrowly defined curriculum-based achievement. Read more in Assessment GEMS Series No. 5 (PDF). GEM sees the process of educational measurement as one of defining dimensions of educational progression and locating learners on those dimensions. Such dimensions are variously referred to as proficiency scales or learning metrics. Read more in Assessment GEMS Series No. 4 (PDF). 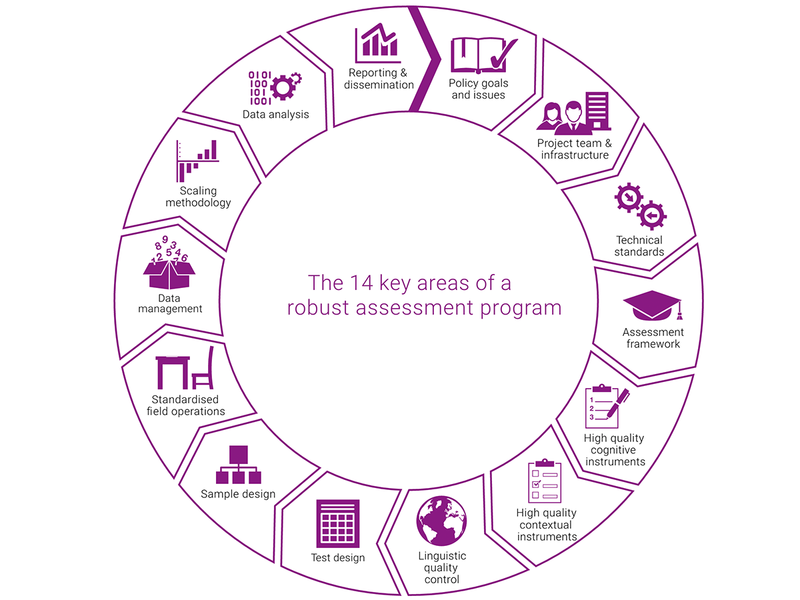 For a large-scale assessment of learning outcomes to be high quality, technically sound and useful for educational policy, the following areas should be addressed.